In lieu of flowers memorials in Linda's name to Abundant Life Church. In many ways, Linda Stepanovich defined the meaning of a loving and good hearted woman. Giving and being involved was truly her passion. Linda placed all her energy into the things for which she believed in, most importantly, her faith and family. She served without expecting anything in return and impacted numerous young lives by sharing her love of the Lord. In so doing, she demonstrated that very love by freely loving others, unconditionally. Although deeply missed, Linda will be remembered with joy.  Linda’s story began at a time when life in America was booming with industry and manufacturing. The American dream was realized as families moved to the suburbs, and to accommodate growing families, the new ‘59 Chevy Station Wagon was all the rage. Technology was at an all time high when NASA introduced America’s first astronauts to the world, and the computer modem began its infancy. Even as tensions began to grow overseas with talk of impending war, Richard and Dorothy (nee Morse) Kielley were anticipating the birth of a new child in their lives, and on May 10, 1959, they were blessed with the birth of their precious little girl, Linda Lee into their lives. Born in Milwaukee, Wisconsin, Linda was the youngest of four children and the only girl in her family, which always played to her advantage. She grew up alongside her older brothers, Richard and Steven, and her older brother, James sadly died when he was merely 18 months old. The Kielley family made their home on Richard Road in Oak Creek, Wisconsin where Linda enjoyed the adventures of childhood. Raised in a loving yet firm household, it was clear from the start that Linda was destined to be a “daddy’s girl”. This was never more evident than the time she accidentally hit the gas instead of the brake and drove right through the back of the garage. She was never punished for her mistake, but had it been one of her brothers, they still wouldn’t be able to sit down! From her earliest years, Linda had a love and appreciation for the outdoors and all it had to offer. She always wanted to tag along with her brothers and do the things they did, but that never fared too well with them! Through the years, their family enjoyed camping trips to the Wisconsin Dells and vacations to Florida and California which made for lasting memories. 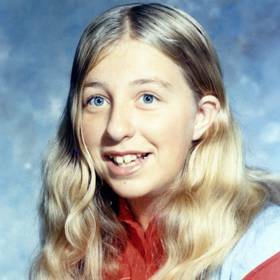 Linda attended the local schools and graduated from Oak Creek High School in 1978. Throughout her high school years, she didn’t have any particular interests other than enduring the process and graduating! 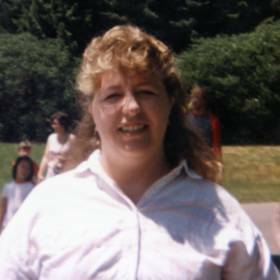 Linda did go on to further her education, attending Milwaukee Area Technical College (M.A.T.C.) where she studied nursing for a time but she never quite completed her degree. When her beloved father died in October of 1984, Linda understandably had a difficult time, yet through her faith and the love and support of family and friends, she was able to carry on. Not long after her father’s death, and with the urging of her best friend, Linda agreed to go on a blind date. It turned out to be the best decision she ever made because she met the love of her life, Christopher Stepanovich. Having dated for several years, Linda and Chris sealed their love in marriage on May 26, 1989, at the Apostolic Faith Church in Surtevant, Wisconsin. They loved making a home together and to support his new bride, Chris worked in the food industry while Linda worked outside the home for a brief time, as well. Some of the nursing skills Linda previously learned came to the forefront when her mother, Dorothy began showing signs of dementia. 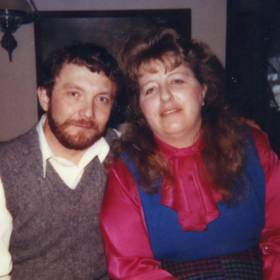 They lovingly cared for Linda’s mother in Linda’s family home on Richard Road in Oak Creek where Linda was her mother’s primary caregiver until her passing in March of 2014. Linda and Chris never had any children of their own, but that did not stop Linda from being a nurturing and loving mother hen to her 14 nieces and nephews. Linda could not have loved them any more than if they were her own. Her love for them was unconditional, and she provided a listening ear and a shoulder to lean on. Like a mother, she watched over them, and they loved spending time with her where Linda was sure to make their time together special. Faith was a very important part of Linda’s life. With a servant’s heart, she was very involved at her church home, Abundant Life Church in Oconomowoc, Wisconsin where her brother, Richard served as pastor. She was quite involved in ministry as a Sunday school teacher for the 9-11-year-old class. Dearly loved by her students, she made quite an impact in their lives, and some included several of her nieces and nephews. Linda also volunteered with the church food pantry helping those who may have fallen on hard times, and establishing the “Blessings Ministry” at church making blankets for new infants was dear to her heart. Linda held a deep, abiding love for family. From her parents to her husband; in-laws and siblings along with the blessing of her nieces and nephews, Linda had a way all her own in making everyone feel special. In her free time, some of Linda’s other interests included her love of the outdoors, and she especially enjoyed riding their ATV. She used her talent and enjoyment for crafts often in teaching Sunday school. In January of this year, Linda was diagnosed with a rare liver condition - Erdheim Chester Disease. With faith as her guide, Linda fought a good fight until nothing more could be done. So typical of Linda, her concern for others remained endless, and her giving heart never faded. Ever nurturing and loving, she always offered an encouraging word as she spent the last of her days with those she loved by her side. Linda’s influence was far reaching, and her passion for sharing the love of her Lord was a testament to her faith. Those she touched are truly blessed for having known and loved her. 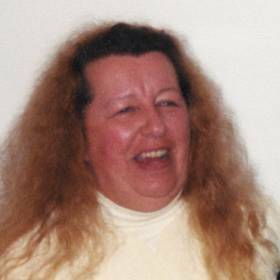 Linda Lee Stepanovich (nee Kielley), age 56, entered into her rest on Sunday, May 1, 2016. 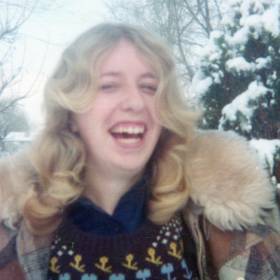 Beloved wife of Christopher G. Stepanovich; loving sister of Richard (Elizabeth) Kielley and Steven (Lisa) Kielley, she is further survived by her nieces, nephews, other relatives, and friends. Visitation: Wednesday, May 4, 2016, at Abundant Life Church, 995 South Sawyer Road, Oconomowoc, Wisconsin 53066 from 5:30 pm until time of her funeral service at 7:00 pm. Private interment at Forest Hill Memorial Park-Oak Creek, Wisconsin. In lieu of flowers, memorials to Abundant Life Church are appreciated. Linda’s family is being served by the Suminski Life Story Funeral Homes-Niemann/Suminski (414) 744-5156. 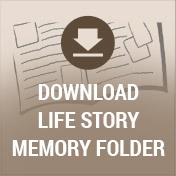 To share a favorite memory of Linda and to sign her online guestbook, please visit www.SuminskiFuneralHome.com.